The main thought behind Emergent Curriculum (as well as other early childhood approaches) is that children learn not necessarily by what they are taught but “learn as a result of their own doing.” Emergent Curriculum is a teaching philosophy that focuses on the development of lesson plans based on the emerging interests of children. Its principles are quite similar to those in the Reggio Emilia approach to childhood education. Preschools using Emergent Curriculum need to get to know each individual child, their likes and dislikes, their strengths and their needs. 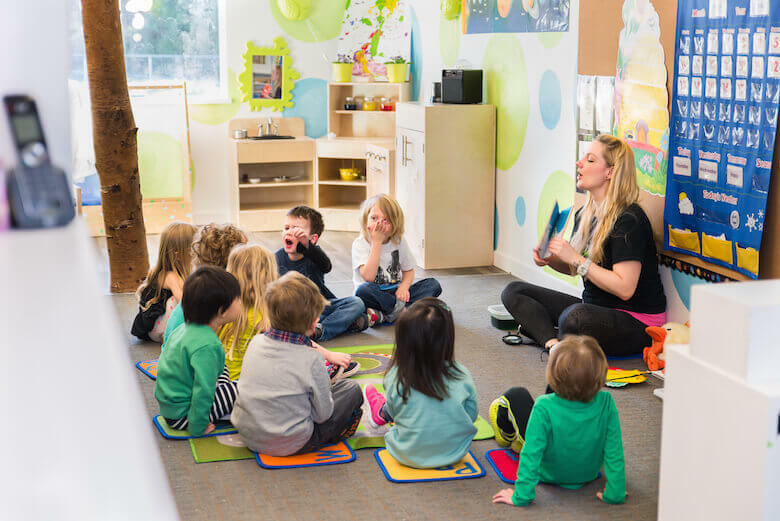 Teachers observe and interact with their students while they freely play and use the open preschool classroom. Educators then create a flexible curriculum that will help individual children progress in their learning. Preschools using Emergent Curriculum believe that each child has distinct needs and interests. This is why, using the Emergent Curriculum philosophy, teachers spend time observing, listening, and interacting with each child. This enables them to get to know their needs and interests. Thus, children are not focused on a teacher giving them instructions. But rather, all the focus is on them and what they like to do. This is thought to induce developments such as decision-making, being responsible for their own learning, and problem-solving, among others. Once teachers get to know each child, they develop a framework to provide children with a curriculum based on what the child likes, wants, and needs. However, this is not the end. Teachers are regularly observing, listening, and interacting with the children as well as taking note of their learning. This is due to children’s natural and constant need for change. A child’s needs and interests will be ever growing, and thus teachers need to keep up with such change in order to deliver the best possible emergent curriculum at a certain period of time. Emergent Curriculum is very much dependant on the classroom atmosphere and set-up. Similar to the Reggio Emilia approach to childhood education, preschools working with Emergent Curriculum make sure children feel fully welcome to explore, play, and interact in the classroom. Children feel comfortable and safe in this type of classroom setting as it encourages their natural curiosity and imagination to work and develop. A classroom using Emergent Curriculum also allows for ample interaction among all children. This will help children build relationships among one another. Based on the Queensland Kindergarten Learning Guide (linked to at the beginning of this article), teachers working with Emergent Curriculum not only interact with children; they collaborate with other teachers and with the community. They also get parents and family involved in the learning process of their children. They do this by sharing their observations with parents and welcoming their input in the curriculum. In conclusion, Emergent Curriculum is a very child-centred and child-responsive approach to childhood education that is worth looking into. Emergent Curriculum encourages children to be constantly engaged, interested, and motivated to learn. And that is a great thing!